The Hereford FC boss Peter Beadle has quickly added to his Evo-Stik Southern League South & West championship winning squad with two signings this week. Forward Keyon Reffell and striker Lance Smith have boosted the Bulls squad ahead of the summer break, with a central defender and also a left back expected soon. 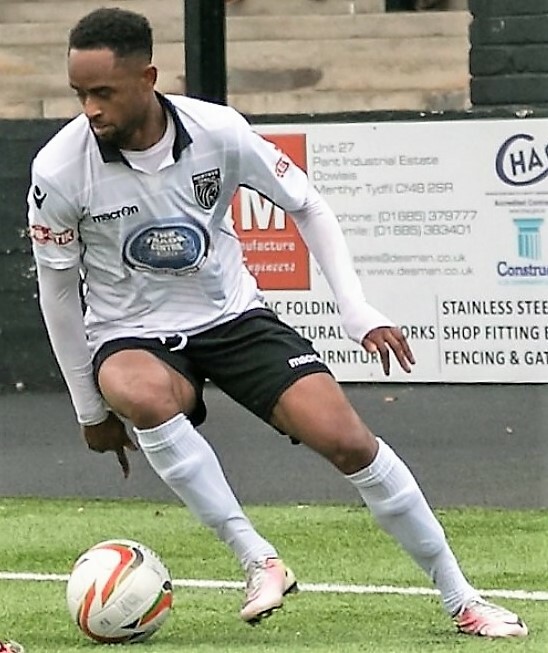 Keyon Reffell joins after starring for Merthyr Town in the Southern League this season. Reffell, 26, started his career as a youth player at Cardiff City, and has featured for Kidderminster Harriers, Port Talbot Town and Carmarthen Town. Prior to linking up with Merthyr he also had a successful loan spell at Halesowen Town in the Northern Premier League. Reffell scored a memorable goal against the Bulls in last season’s invitational Herefordshire Senior Cup Final at Edgar Street. International clearance for the move from Merthyr will be required, but hopefully the Welsh FA will manage this process effectively during the summer. Striker Lance Smith put pen-to-paper last week on a move from Evesham United. The marksman expressed delight at moving to Edgar Street after turning down approaches from Hednesford Town and Redditch United last term. Smith, 25, netted 26 goals in the Southern League South & West last season. “I can’t wait to play at a higher level,” Smith said. “Having turned down a few moves, people thought I didn’t want to, but that is definitely not the case. “I know I can do it and I believe I can play higher still. I’ve just got to keep playing the way I play, and hopefully the rewards will come. 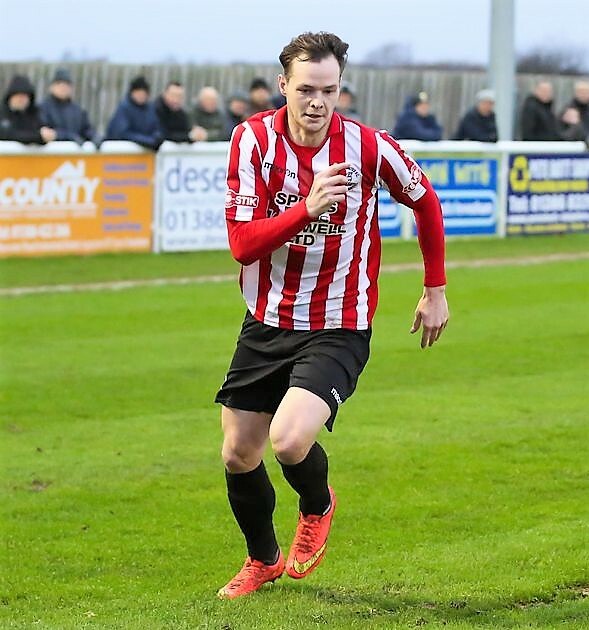 Midfielder Calvin Dinsley, whilst already known to Hereford supporters, arguably makes it a trio of new signings as he agreed to permanently link up with the Bulls after meeting boss Peter Beadle last week. S: Lance Smith, John Mills, Mike Symons, Keyon Reffell.